True wellness involves balance in many areas of an individuals health. This chiropractic practice focuses mainly on the nervous system, however there are many other systems such as the digestive, cardiovascular, immune, and nueromusculskeletal systems. Dr. Roderick Sorensen has put together an all-star team of our favorite wellness providers. We've worked hand-in-hand with some team members while others come highly recommended. Feel free to scout out the best players you can find, interview them and make sure that they can provide you what you need to help you create and support your wellness lifestyle. 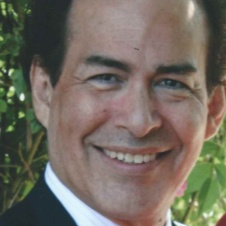 Robert Espana, Registered Naturopath, has been in practice since 2001, specializing in difficult to treat diseases. In 2015 he was rated as one of top three Naturopaths in Fresno by OpenCare, an agency that rates health care providers.At Natural Health Center we find the root of your problem, not just the treatment of symptoms.